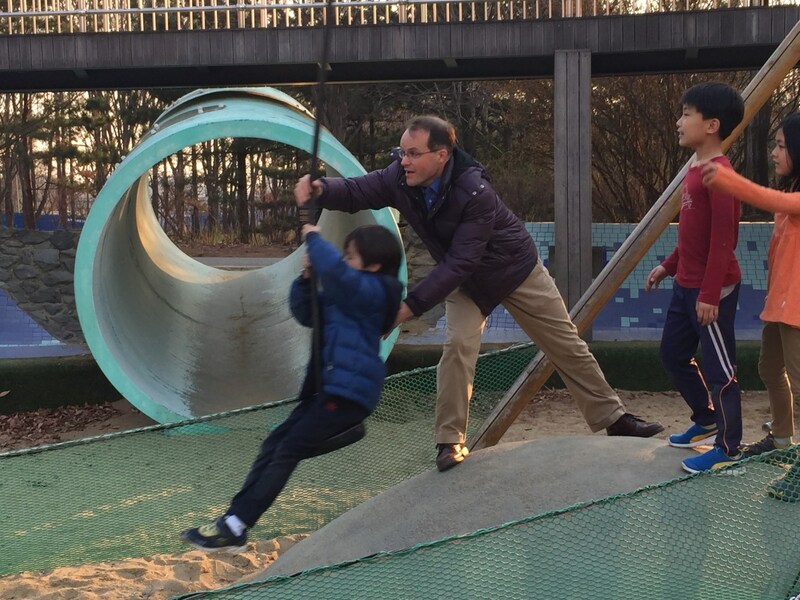 SEOUL, South Korea — Greg Brooks-English used to shrug it off when family and friends asked whether he felt safe living on the doorstep of the world’s most fortified and, some say, most dangerous border. “You know, South Koreans just take it all in stride,” he said, even after North Korea last year launched two nuclear tests and some twenty missile tests. 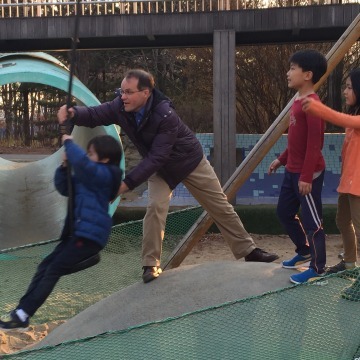 NBC Nightly News Exclusive: Lester Holt anchors from South Korea tonight at 6:30pm ET. For the first time in his 12 years living in South Korea, the 46-year-old assistant professor at Yonsei University is now filled with growing dread. “When I start hearing [U.S. President Donald] Trump talk about a preemptive strike, or that all options are on the table [or] try to take out [North Korean leader] Kim Jong Un, that would be total war,” he said, referring to widespread news coverage suggesting or predicting President Trump might take preemptive action against North Korea. 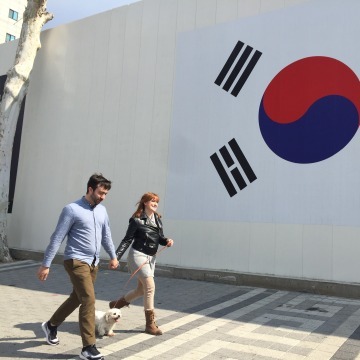 Brooks-English is one of nearly 140,000 Americans living in South Korea, according to the Korea Immigration Service. Of those, 28,500 are U.S. military personnel stationed here to help defend this nation of 55 million against the threat of war with the North. A threat that seems to have grown recently thanks to Pyongyang’s “uncertainty of intent,” U.S. Pacific Fleet Commander Adm. Scott Swift calls it, and its advancement of missile technologies. “I have never seen a greater concern from a regional perspective of the threat that is being posed by North Korea,” said Swift. But the overwhelming majority of Americans in South Korea have nothing to do with the U.S. military and are focused instead on making the tiny and densely populated country their home. Take the Rigbys, who landed on the peninsula in 2014 — driven by a dream to teach in Asia but also by one serious practicality. “It was hard, being newly married and working all the time, never seeing each other,” said Leah Rigby, a bubbly 27-year-old redhead from Downington, Pennsylvania. She and her 27-year-old husband, Steven Rigby, graduated from Cornerstone University in Grand Rapids, Michigan, in 2012. Not only did they acquire degrees in English and secondary education, they also accumulated school loans in the six figures. “We were both teaching full-time and holding second jobs working in restaurants, but we still couldn’t make ends meet,” she said. 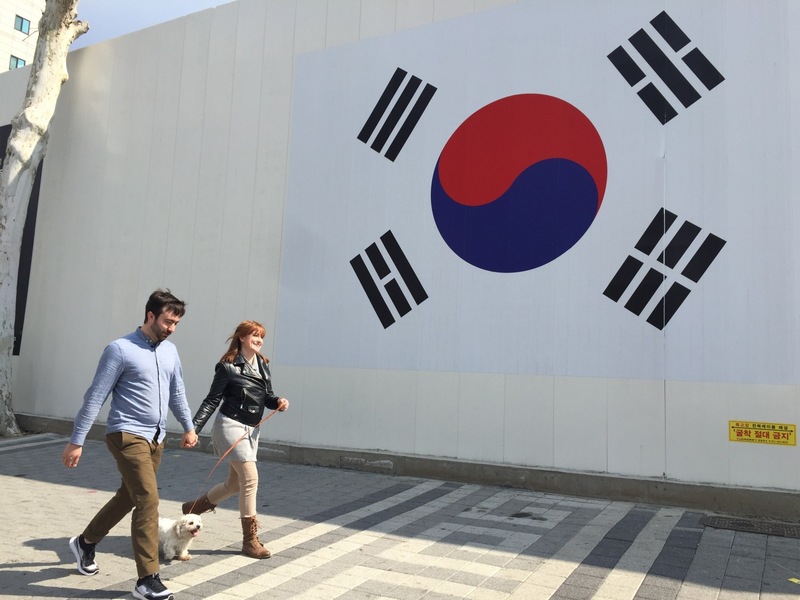 After listening to friends who were teaching in South Korea and were raving about the experience, the young couple decide to move to Asia as well. This month, they are marking their third year in South Korea. They’ve reduced their college loans by more than a third. The school pays for their apartment in trendy Gangnam neighborhood. They’ve adopted a dog, Pretzel. And they’ve embraced Korean life — so much so that Steven Rigby enthuses to his friends about the local cuisine. “Kimchi is a lifestyle. It’s not a food, it is a state of being,” he said. Documenting their day-to-day in Seoul on a YouTube channel, the couple say they hardly ever give a second thought to regional tensions. The Rigbys told NBC News that the constant aggressive rhetoric makes the threat seem empty. “It’s not like we’re ignorant of a threat being there, but because these threats are made so often, it gets to a place where you just roll your eyes and say, ‘Oh, it’s another threat, okay, we’ll see what happens this time,'” Leah Rigby said. Whatever they may think of their own safety, all three Americans — Leah and Steven Rigby and Greg Brooks-English — fear much more for their students. “My students would be the ones being killed,” he said. Even possibly his 9-year old son, Noah, who as a dual American-Korean citizen would be expected to serve compulsory military service in South Korea once he reaches the age of 18. But the immediate future is what concentrates Brooks-English’s attention. While the Rigbys may speak lightly about having to move, Brooks-English said half of his friends advise him to have a Plan B.